As evenings become cooler and crisper and the daylight gets shorter and shorter, it's a signal that frost is upon us. The change in temperature and season can leave gardeners longing for the warm summer air, instead of prepping for winter. There's still plenty of gardening to be done this time of year. Get the most out of your fall harvest and set your garden up for spring success by jumping on these garden tasks now. 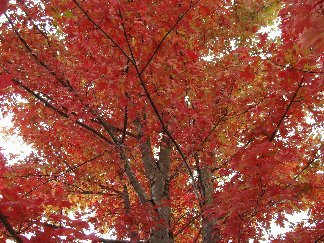 It's no secret that the best time to plant a tree or shrub is in the fall. Before you plant, evaluate the landscape to assess the amount of sunlight, ground vegetation, proximity to permanent structures, and hazards, such as overhead wires or underground pipes. Choose a site where the tree will be able to grow to its mature height. Then, dig a hole twice as wide and the same depth as the root ball. Place the tree in the hole at the same depth it was growing before and fill half the hole with compost. Mix in an organic fertilizer with the soil. Backfill the hole, give it a nice drink of water and watch your tree grow. 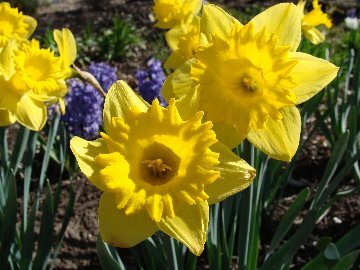 Spring-blooming bulbs can generally be planted any time before the soil begins to freeze. Give bulbs their best shot by planting a few weeks before the ground is frozen to help them establish roots. While fall is for planting, it's also the perfect time for prepping for next season. Healthy soil is the backbone of every successful garden. Test soil now for pH and nutrient levels and amend accordingly. Dig 4" deep with a stainless-steel trowel and either use a DIY soil test or stop in with your soil sample and we will test the pH for you. To adjust the pH level of your soil, use Espoma's Organic Garden Lime to raise the pH of very acidic soil. Poke holes in the soil's surface and scatter on the lime. Rake lightly into the top inch of soil. Or, apply a soil acidifier to lower the pH of extremely alkaline soil. All of those colorful leaves that are falling make for perfect additions to your compost pile. If you don't have a compost pile already, start one! 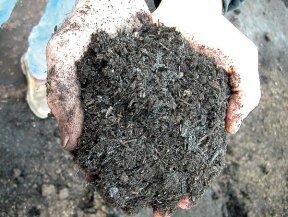 The best compost contains about 25 times more carbon-rich materials than nitrogen-rich materials. Think of these as brown and green materials. Brown materials include paper, straw or dried leaves. Green materials include garden and food scraps for rich, fertile compost. Add a thick blanket of mulch on garden beds to reduce evaporation and control weeds. Choose organic mulch that will improve the soil as it decomposes. Lay 2 - 3" of mulch around established plants. When mulching trees, the mulch should extend away from the plant to just beyond the drip line covering a bit of the roots Keep 2 - 3" away from the stems of woody plants and 6" away from buildings to avoid pests. Make the most of this beautiful fall in the garden.